New Show in the Rose Gallery! Two local San Diego artists, Charlotte Bird and Polly Jacobs Giacchina, have just installed a new exhibit in the Rose Gallery. 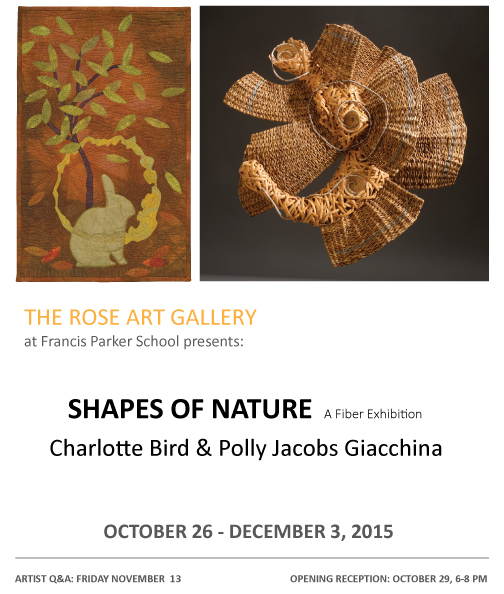 The show titled SHAPES OF NATURE, is a fiber exhibition is a visual display of two incredible bodies of work from Bird and Giacchina. Nature, in the broadest sense, is equivalent to the natural, physical or material world or universe. It ranges in scale from the subatomic to the cosmic. The study of nature is science. The interpretation of nature is art. SHAPES OF NATURE reflects two artists’ conceptions of the natural world. Polly Jacobs Giacchina uses basketry and hand weaving techniques to transform natural and industrial materials into organic three-dimensional forms. Charlotte Bird makes wall quilts from her hand dyed and hand printed fabrics representing organic plant and rock forms. A public reception to meet the artists will be on October 29, 2015, 6-8 pm. This entry was posted in Uncategorized on October 22, 2015 by parkerartdepartment. Show runs from October 3 – January 24, 2016. 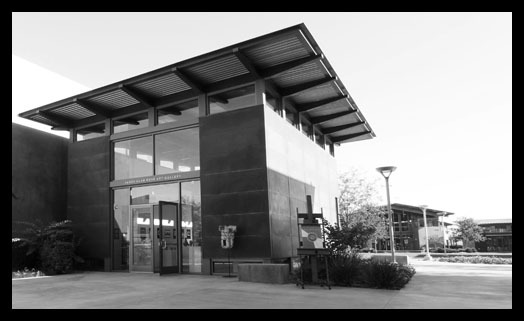 MOPA is located in Balboa Park at 1649 El Prado, San Diego, CA 92101. The gallery is open from Tuesday – Sunday 10am – 5pm. 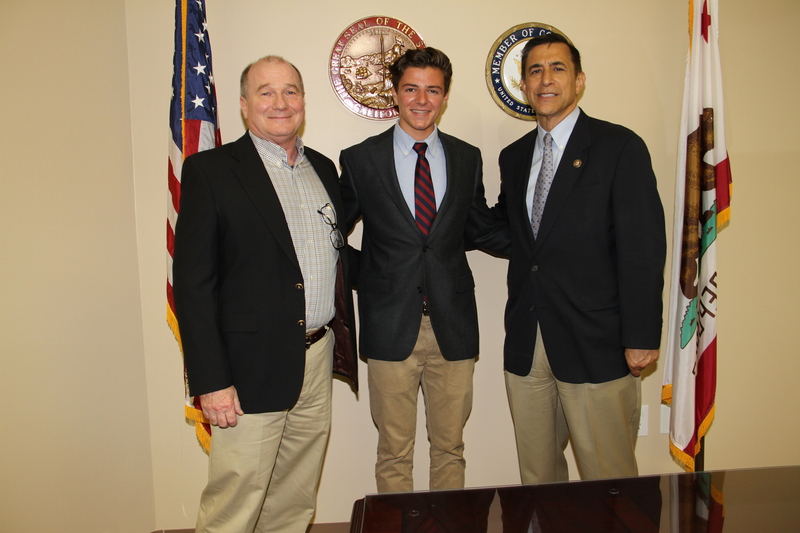 From left to right: Mark Byrne (Photo teacher), Alex Nicita (student), and Darrel Issa (Congressman) from last August 17. Nicita received the Congressional Certificate for his photographic entitled “Salk.” The photograph is currently on display in Parker’s main office in the J. Roger’s Building.